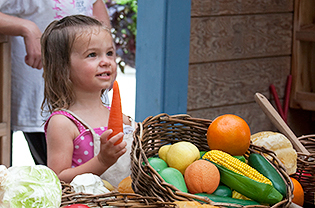 The Children’s Garden—open April through October—is a place to discover, explore, pretend, search, observe and more. Learn about plants, nature and sustainability through hands-on activities offered daily. The Children's Garden opens for the season on March 30, 2019. Open daily, April–October, 9 a.m. to 4 p.m.
Garden members: Free Tuesdays all day, and Saturdays from 9 a.m. to noon. Free everyday for members at the Friends and Family-level and above. St. Louis City/County Residents: Free on Saturdays from 9 a.m. to noon. Worried about the heat? The Splash Area in the Children's Garden turns on when it hits 70 degrees to help keep kids and their families cool this summer. Learn more about the Garden’s Hours and General Admission. 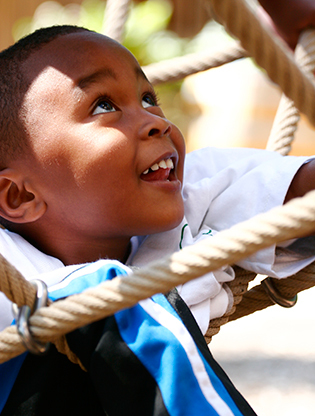 Opened in April 2006, the Doris I. Schnuck Children’s Garden: A Missouri Adventure introduces youngsters at their most impressionable age to the significance of plants and nature in fun and innovative ways. The children of the Donald Schnuck family provided the lead gift to name the new Children’s Garden in honor of their mother. Occupying nearly two acres west of the Climatron® conservatory, A Missouri Adventure brings botany and 19th-century history to life through a variety of interactive themes with appeal for both kids and adults. 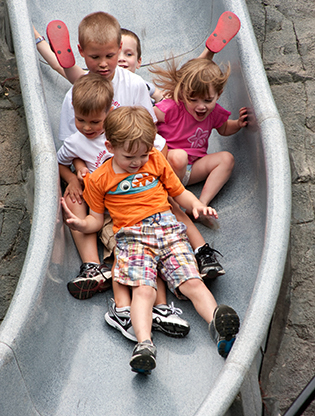 Venture into a limestone cave, glide down Spelunker’s Slide, explore the wetlands, board a steamboat, climb to new heights in the tree house or visit a Midwestern prairie village. 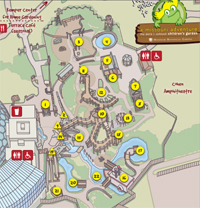 Download a Children’s Garden map!